Clear the snow and ice from your old car and make it over to the dealership to check out the following best car deals and incentives, January 2013. Keep in mind that some deals (Hyundai, Mazda and Nissan) are good only through January 31, 2013; Chevy and Dodge deals carry early February expiration dates, while those from Honda and Kia expire March 4, 2013. 2013 Buick LaCrosse – Buyers get 1.9 percent financing for 60 months or $1,000 consumer cash. Or, lease for $299 per month for 24 months with $2,639 due at signing (LaCrosse with base equipment group). 2012 Chevrolet Camaro – $1,000 cash back or zero-percent financing up to 72 months (N/A on ZL1). 2012 Chevrolet Cruze – $1,000 cash back or zero-percent financing up to 60 months. 2013 Chevrolet Cruze – $500 cash back or 1.9 percent financing up to 60 months on a purchase, or lease for 24 months at $149 per month with $2,100 due at signing. 2012 Chevrolet Malibu – $3,000 cash back or zero-percent financing up to 60 months. 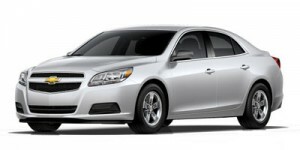 2012 Chevrolet Malibu – $3,500 cash back or zero-percent financing up to 72 months (Impala with 1FL or LS). 2013 Chevrolet Impala – $2,500 cash back or zero-percent financing up to 60 months (Impala with 1FL or LS). 2013 Dodge Avenger – Zero-percent financing for 72 months or up to $3,000 cash allowance. Expires February 4, 2013. 2012 Honda Civic – The compact 2012 Honda Civic is available to purchase for 0.9 percent financing for 24 to 60 months (applies to Civic sedan, coupe, Si sedan and Si coupe, and natural gas vehicles). Or, lease the Civic LX sedan with automatic transmission for 36 months at $149 per month and pay $1,999 at signing. 2012 Honda Civic Hybrid – Buyers can get 0.9 percent financing for 24 to 60 months. Or, lease for 36 months at $189 per month with $2,399 due at signing. 2013 Hyundai Sonata – Purchase deal: $1,000 bonus cash plus 0.9 percent financing for 36 months or 1.9 percent for 48 months. Or, lease for 36 months at $245 per month and pay $0 down, $0 first month’s payment. 2012 Hyundai Sonata Hybrid – Purchase deal: $1,000 bonus cash plus zero-percent financing for 60 months or 0.9 percent for 72 months. Or, lease for 36 months at $309 per month and pay $0 down, $0 first month’s payment. 2013 Kia Forte – $1,000 bonus cash plus 1.9 percent financing for 36 months. Two 36-month lease deals: $169 (Forte LX sedan with automatic transmission), $179 (Forte Koup EX with automatic transmission), both with $1,999 due at signing. Touring trim with automatic transmission carries a $209 per month, 36-month lease with $1,999 due at signing. Lease deals available in the Northeast, Southeast, Gulf States, Midwest and West. Or purchase four- and five-door models in the above-mentioned regions with zero-percent financing for 36 months. 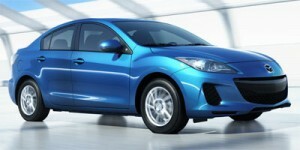 2013 Mazda Mazda6 – Zero-percent financing for up to 60 months. The Mazda Mazda6 i Sport trim with automatic transmission leases in the Northeast, Gulf States and West for $189 per month for 36 months with $1,979 payable at signing. 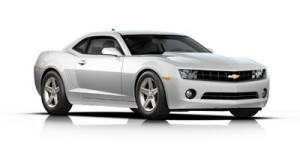 In the Southeast and Midwest, this 36-month lease is $205 per month, with $1,995 due at signing. 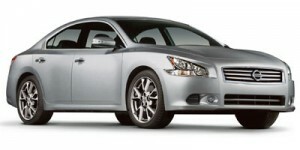 2013 Nissan Altima – Lease Altima 2.5 S sedan 2.5 S trim for $199 per month for 24 months with $1,999 due at signing (Northeast, Northwest and West), and $2,599 due (Southeast and Southwest). Altima Coupe 2.5 S trim comes with a $249 per month, 39-month lease with $2,999 due at signing in all regions. Purchase deal: the Altima sedan has zero-percent financing for 36 months plus $500 NMAC cash (with NMAC financing) in Northeast, Northwest and West, or the same financing plus $1,000 NMAC cash (in Southeast and Southwest). Altima coupe has financing plus $500 NMAC cash (with NMAC financing): zero-percent for 36 months, 0.9 percent for 60 months, 1.9 percent for 72 months, or $500 cash back plus $500 NMAC cash. NMAC), or $2,500 cash back plus $500 NMAC cash, available in the Northeast. Other regions, the same financing plus $500 NMAC cash applies, but with the option of $3,500 cash back plus $500 NMAC cash. Or, lease Maxima S for 39 months at $299 per month with $2,999 due at signing (Northeast), and $329 per month for 39 months with $2,999 due at signing (Northwest, Southeast, Southwest and West).